If your dream is to work from home, and you don’t know where to start, this list has something for you. Guaranteed. Ah, working from home. If you’re sick of long commutes to a boring office, where you’re stuck 9-to-5, Monday through Friday, remote work sounds like a distant paradise. But the reality is, working from home is more feasible than you might think — and I’ve got 50 examples to prove it. So, if your dream is to work from home, and you don’t know where to start, this list has something for you. I guarantee it. 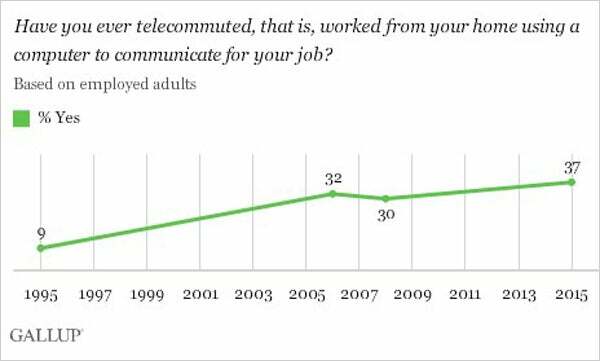 A Gallup poll demonstrates that working from home, or telecommuting, is on the rise, with more than a third of Americans telecommuting at least some of the time in 2015. And that trend makes sense: We’re in an era where resources, information and communication are boundless and portable, and these systems are growing increasingly sophisticated. So, how can the average worker — maybe you? — make an actual living without leaving the home? Here are 50 ways. Some traditional bosses think that working from home is an excuse to goof off and do nothing, but most people have sound motivations. They want to work without distractions and interruptions from co-workers, skip the time-wasting commute, wear comfortable clothing, stay close to home for family needs and generally have more control. Plus, it’s been shown that people who work from home end up being more productive. That being said, working from home isn’t a perfect solution. You’ll still have to work hard, no matter what you choose, and navigate a number of unique challenges, so be careful to choose your best path forward. Your first option is probably the simplest; instead of looking for a new job, try to transform your current job. After all, most white-collar jobs these days can be done from home. For example, do you spend most of your day in front of a computer using software that’s available on the cloud? If so, there’s no reason you can’t tackle those responsibilities from home. Even if you’re in a more traditional or conservative industry, the right pitch could convince your boss to transition your position to a remote one. According to Global Workplace Analytics, even government and non-profit sectors are gearing more toward work-from-home opportunities. Maybe your boss needs you in the office for a weekly meeting, or you’re needed as an additional face for client meetings. Consider the prospect of opting for a hybrid model, in which you work from home two or three days per week, but go into the office for the remaining days. This may not be your ideal setup, but it’s better than a full week of office commutes. Plus, if you do a good enough job in those few work-from-home days, you’ll have evidence that a fully remote model could work. We’re in the midst of the golden age of content marketing, and that means the world is hungry for more content. If you’re good with your words, you might as well capitalize on this trend. Content marketing has created a high demand for original written material, so it’s not hard to find companies that need articles written regularly — sometimes daily. Reach out to content-marketing firms which employ many writers and are always looking for more talent. Find writing jobs on Craigslist, or on Freelancewritinggigs.com. You could also sign up to work for a content mill, which is designed to churn out high volumes of content on a regular basis (just don’t expect a massive salary). Depending on your skills or experience, you could also make a living by reviewing the work of others. For example, you could become an editor who reads and improves articles — rather than writing them yourself — or you could oversee the work of newbies in your industry, by reviewing photos or audio submissions. So long as what you’re reviewing is available in a digital format, it could be a perfect work-from-home opportunity (provided you have enough volume to keep you busy). You read that right. It’s entirely possible to make a work-from-home career out of playing video games — that is, if you’re good enough or interesting enough. 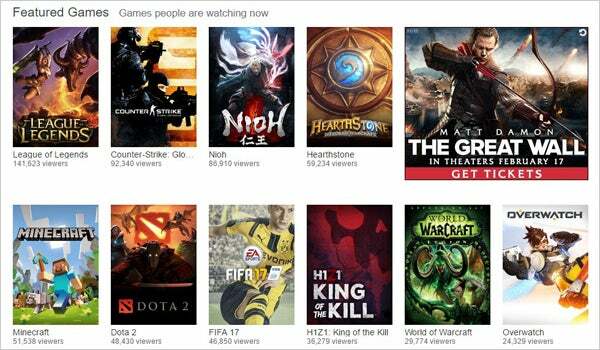 Brands like Twitch and Youtube Gaming offer gamers the opportunity to live-stream their video-gaming experiences; and believe it or not, thousands of people sign on to watch those videos and streams. If you’re a highly skilled gamer, then, or you can find alternative, unique ways to draw a crowd, you could build a brand and an audience and earn revenue from the sites, based on your contributions. Monetize via ad revenue, tips from your audience or Patreon. Gamers Brittney Brombacher and Greg Miller are both excellent examples of people who have built a brand in the video game industry and are monetizing them via these methods. One of the best ways to build and maintain a revenue stream is to create and manage a blog. This could be about almost anything: Maybe you want to review new music, or to show off your homemade cosplay. All that matters is your ability to build an audience over time. If you can attract a few thousand monthly visitors, you can turn that audience into a cash-generating machine in a number of different ways, including getting paid to advertise, using affiliate links or setting up a Patreon account to encourage your audience to support your content-creation efforts and gain access to premium content. Tim Urban of WaitButWhy.com has followed this route and makes nearly $13,000 per month (as of 2017) from Patreon pledges. If you like the idea of writing your own content, but blogging eludes you (for one reason or another), consider writing ebooks on the topic of your choice. Ebooks are basically longer versions of articles, usually spanning several thousand words with illustrated examples and practical tips on how to accomplish something. Provided you have an interested audience available, you can charge a few dollars per download and make a substantial, recurring profit. Everybody has an opinion, and everyone’s a critic. If you like to share your opinions, and are able to do so articulately and in a way that benefits your audience, you may find reviewing a viable way to work from home (for the most part). The sky’s the limit here: If you’re into media and pop culture, you could review movies and music albums. If you like board games and video games, you could review new ones emerging. You could even review local businesses, or almost any product you can think of. Again, you just have to build an audience first. Logging into social media and making a post doesn’t require any kind of physical presence; this makes it nearly perfect as a work-anywhere job. Social media marketing isn’t as simple as “playing around on Facebook all day,” but its fundamentals don’t require special skills or equipment. You’ll need experience to be successful over time, but it’s a highly learnable niche. I’ve written an ebook that covers all the fundamentals of it, The Definitive Guide to Social Media Marketing. If you don’t have any current experience, it’s a good idea to start out by working for a small business or startup, or build your personal reputation on your own before applying for formal jobs. Like social media marketing, search engine optimization (SEO) is a marketing strategy that takes place entirely in the digital world, and it’s fairly approachable, even for newcomers. You won’t be able to do any advanced troubleshooting or pull cutthroat competitive tactics in your first few months, but all the information you need to be successful is available to you. Just be prepared to subcontract to specialists if you find yourself stuck, or want someone more experienced to help you out. Next up, you could run pay-per-click (PPC) advertising campaigns. Clients will pay for ad-placement costs, and give you a management fee on top of that to research, plan, organize and track the results of each ad campaign. You can specialize in one platform or learn multiple platforms, to appeal to a wider audience. 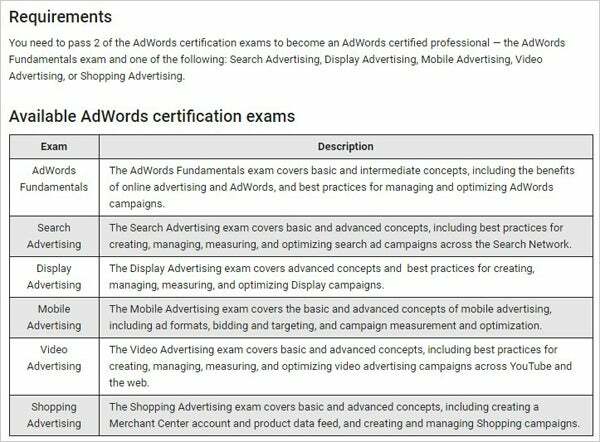 Some platforms, like Google, offer certification programs you can use to prove your credentials. There’s a bit of a learning curve here, but once you get the hang of it, it will become second nature to you. If you have design skills, you can produce graphics for individuals and businesses to use in advertising, on websites or for other purposes. There are many ways to do this. You could become a full-time graphic designer or an independent contractor with multiple different clients. Alternately, you could use a matchmaking site like 99 Designs to get work on a piece-by-piece basis. It’s hard to pick up design skills naturally, so if this is the route you want to go and you don’t already have the skills, you’ll need to invest in your education first. Freelance photographers can make significant income, depending on their skill and experience level. Of course, to take photos, you’ll have to occasionally leave the house. If you’re interested in learning the basics of photography, there are many sites to help you get started. In a related application, you could create videos for businesses, as well; to do this, create an “explainer” video to pitch the brand, making an advertisement or just turning a piece of written content into an interactive visual experience. Speaking of videos, they aren’t just for other people. In the same way you can start a blog and make money from it, you can create your own channel on YouTube and earn money. The key here is to find a niche that isn’t currently occupied, then either inform or entertain a specific target audience (preferably both). An effort like this will require market research, creativity, hard work and a lot of luck. But if you’re consistent, you may find it possible to generate an audience in the hundreds of thousands — maybe more — which can earn you significant recurring revenue. An excellent example is Vsauce. It’s not the most glorious job on this list, but it is one of the most in-demand opportunities for work-from-home employees. Depending on whom you work for, you could have responsibilities as a virtual assistant that include booking hotel accommodations, organizing or taking notes, maintaining schedules, compiling (digital) paperwork or even reading and researching on your employer’s behalf. These opportunities are available in a number of different niches, so look for them on job boards, and network to find promising open positions. Fiverr is a site that originated with a diversity of different freelancers offering services starting at $5. Today, most services are still $5, but more intensive services cost a little more. Because competition is high on this platform and rates are, accordingly, low, it’s hard to make a career out of freelancing on Fiverr alone (unless you’ve mastered your niche and have a thriving target audience or reside in a part of the world with an extremely low cost of living). Still, it’s a helpful site to round out your earnings or to make initial attempts at a newly developed skill before you start advertising your services on your own. Do you like to cross-stitch? Do you make your own pillows? Work with clay, or knit? All those crafts can be sold for a profit, and in some cases a pretty high one. Different crafts offer different available profit margins, depending on the skill level involved, the amount of competition and audience factors. However, almost any craft can be sold reliably if you know how to market yourself. You can use a site like Etsy to get started, or try to build a site and online presence on your own. In the same way, you may be able to sell your art on the web. For the most part, you’re better off developing a personal brand for your artwork, networking actively on social media and showing off your latest creation. Building a personal brand, moreover, will help you establish a reputation, plus people will be more likely to buy your work if they can see your face and personality on display. Of course, the subjective issue of taste in art makes it a hard business to break into. If you have a creative mindset and like the idea of advertising, you could make a decent living coming up with ideas for new businesses. There are a handful of different options here; you could write company names and taglines for new and emerging businesses or even write jingles for new ads or marketing campaigns. If you’re new to the game, you’ll have to submit to contests and similar opportunities, but once you develop a reputation and a portfolio, you can shop it around to higher-paying clients. Do you enjoy being in the kitchen? Do people go crazy for your red velvet cupcakes? There’s a way to turn that into a business, and you don’t need to open a bakery. You can sell your baked goods online, offering a pickup service as an option (if you’re comfortable with it) or charging for special delivery. Just be sure to check your local regulations for the sale of food products, to ensure you comply with any legal restrictions. In general, however, there’s enormous potential for profitability here, as the cost of baking ingredients is usually low. If you’re not much of a blogger, you could still create and popularize your own site. You’ll just need to find a different angle to use to strike a chord with your audience. For example, you might post comic strips on a regular basis, or accept user submissions of embarrassing photographs. You might even offer a unique service, like a custom calculator. Any way you can build an audience is good. 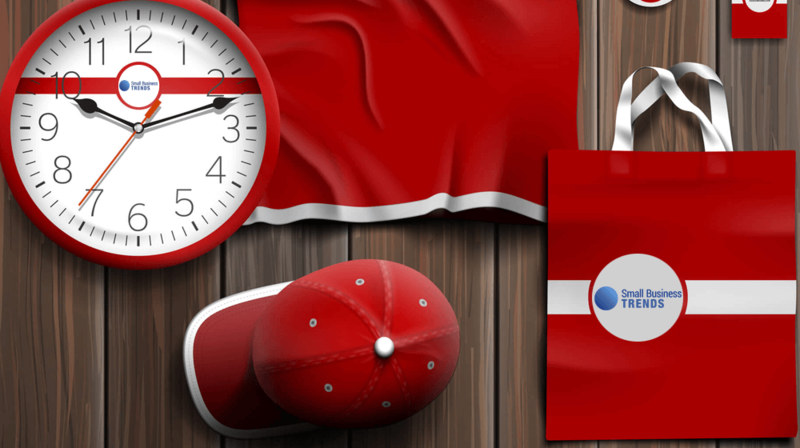 Once you have it, you can start displaying advertising, or selling other goods and services. For inspiration, look at the empire I Can Has Cheez Burger built just by posting funny cat pictures. This is an especially valuable option for anyone walking away from a long-term career in favor of a work-from-home opportunity. You still have your years of experience and skills to use, so make them work for you. Consultants, depending on their experience, can charge hundreds of dollars an hour for one-on-one workshopping, and it can usually take place over the phone or through video chatting. Here, you’ll need to have a strong personal brand and a reliable list of references if you want to secure any deals, so prioritize your reputation first. Coaching is a kind of informal consulting, usually targeted toward consumers rather than businesses. There are an infinite number of paths here, so use your creativity; if you have experience or an interest in physical fitness, consider becoming a weight loss or athletic coach. If you have a wealth of personal experience, you could become a “life coach,” and help people through hard personal decisions or life events, over the phone or through a personal chat. As happens with consulting, you’ll need a strong reputation first, so that should be your first priority. If you’re savvy at online marketing, you can buy websites that aren’t reaching their potential, fix them up, market them, monetize them, and then sell them for a huge profit. You can use a site like Flippa.com to find, buy, and list websites for sale. If you have significant savings to play with, you could consider turning yourself into a scaled-down version of a bank. This process is known as peer-to-peer lending, and has become quite common thanks to technology that makes it easier to accomplish. Depending on what platform you sign up for, you’ll have various options, such as making one-on-one loans, or pooling your assets with others for loans, and you’ll choose different “grades” of clients that offer different levels of risk and reward. This is another job that isn’t especially glamorous, but it’s available (and will continue to be for the indeterminate future). If you don’t have deep or niche skills, this is a perfect way to get started with a work-from-home job. You could be filling numbers into a spreadsheet, entering invoices into a database or fulfilling any number of other tasks. It’s a bit mindless, but for some, that’s less stressful than most jobs. Next up, you could learn to program. 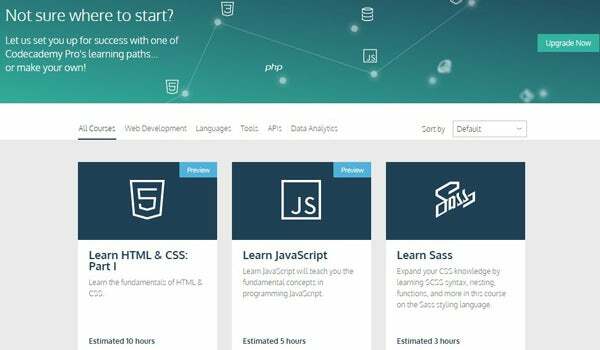 There are dozens of different programming languages available, for applications that range from creating custom websites to making your own video games. This is one of the most versatile options on this list because programming is in such high demand and is valuable for so many things. If you’re skilled in a worthwhile language, your potential is virtually limitless. The problem is usually getting started. Thankfully, sites like Codecademy are available to teach you everything you need to know, completely for free. Once you learn a programming language, you’ll gain experience quickly by knocking out odd jobs for various employers or by working full-time for one with a specific niche. But eventually, you might turn to more creative work. If you create your own app (which is much like creating your own website), you could potentially create a stream of recurring revenue that lasts indefinitely, especially if you charge for downloads, offer in-app purchases or double down on advertising. If you have the spare capital, consider investing in a rental property (or two). If you take your time and choose good tenants, you should be able to earn more in rental income than you’ll spend in mortgage payments and maintenance. This alone may not provide you a full salary, but it’s a nice extra chunk of income that you won’t have to leave your house for. Just keep in mind that landlords do have many responsibilities, including ensuring proper maintenance of the property and handling tenant turnover. If you feel comfortable with having other people in your own home, you can open it up temporarily to new guests in a handful of different ways. You could rent out a room or rent the entire place to travelers with an app like Airbnb. Or, if you’re feeling even more entrepreneurial, you could convert your home into a full-on bed and breakfast. Either way, you can take care of almost all your responsibilities from the comfort of your home. Chances are, you have something you can teach. Were you a rock star accountant at your last job? Perhaps you can teach people to do their own taxes. Do you remember being a whiz in calculus in college? Consider going to a college campus and offering your tutoring services. Do you know how to play an instrument? Post a classified ad for one-on-one lessons. Most things can be taught in your own home, and once you build a reputation for yourself, new students will constantly trickle in. Most businesses rely on a sales team to secure incoming revenue, and those salespeople typically rely on phone calls and emails to make new contacts, so why not step into that role yourself? You can try for a full-time sales position you can do from home, or you can work out a deal to earn a commission for each sale or referral you make to a given company. If you have sales experience, this could be a lucrative opportunity for you. If you’re less about closing deals and more about finding the best fits for an organization, you can prospect instead of sell. As a sales prospector, you’ll be leveraging your network of contacts and pools of potential contacts given to you by an organization, or tapping other sources to find interested candidates to pass on to other sales staff. Prospecting jobs are usually less stressful than full-on sales roles, but they don’t have the same income potential. You don’t need any special training or education to be an underwriter, but you will need to become familiar with the underwriting processes of the company you apply for. Underwriting is the process of analyzing risk and value, usually in the financial and insurance industries. There’s often a straightforward process to follow, which includes collecting information, entering data, doing calculations and making judgments based on what you know, meaning that this work can be done entirely from home in most cases. Companies are more than willing to pay people for their opinions, often in the forms of surveys and focus groups. The amount of money you make here can vary wildly; you might make only $1 for a survey that takes you 20 minutes, or you might get $150 for watching a pilot of a TV show and giving a few statements about what you think. If you enjoy this evaluative work, it can be worth pursuing, but don’t expect a massive paycheck. There are many sites dedicated to helping you get started. This option veers slightly toward cheating, because you’ll have to leave the house at some point. Many people have made a living by going to garage sales, thrift stores or even junkyards to find inexpensive yet valuable goods to “flip” on the internet and sell them for more than they originally paid. Depending on your profit margin, there’s really no ceiling to your earning potential here. Thanks to the prominence of online project-management software, you can be a project manager from the comfort of your home. Help businesses complete development projects, writing assignments, design jobs or anything else you can think of. If your skills lie in organization, communication and coordination, this is the job for you. People build new websites, apps and games all the time, but before they roll them out to the public, it’s important they be tested for quality. Quality assurance testing (QA testing for short) is a gig that lets you try out these products while they’re still in beta. It helps if you have experience in programming or UI/UX design, but that’s not necessary in most cases. You could also offer research as a service to companies, in a number of different ways. If you’re assisting a busy entrepreneur, you could help that person by reading new books and summarizing them. If you’re working for a marketing agency, you could conduct surveys and other forms of market research. People are willing to pay for information, so if you can get it easily, you can land a steady gig. Event planners have the potential to make big money, depending on their experience and the nature of the event. You could go the professional route, working with nonprofits to throw major fundraisers, or the personal route, planning things like weddings and birthday parties. Either way, your ability to organize, coordinate and entertain people will come in handy. Do you know a second language? If so, you could probably find easy work as a translator. Common language translations, like Spanish to English, or vice versa, will offer plentiful opportunities for a relatively low rate, while rarer languages, like Farsi, will provide fewer, but more lucrative opportunities. Consider expanding your knowledge with a third, or even a fourth language to maximize your opportunities. We live in the information age, and companies are desperate to gather and interpret as much data as possible — whether that’s information about their customers, data points for their marketing campaigns or financial information. You can fill a need by creating reports from these data points and drawing conclusions and/or making recommendations from them. The only problem is that you’ll probably need some experience in data analysis to do this. Beyond that, there’s no need to go to a physical office to work, since data is accessible anywhere. Human resources is always going to be an important industry, and you can help fill the gaps for companies in almost any sector. Most companies don’t have any problem attracting applicants for entry-level jobs, but when it comes to top-talent positions, they rely on active scouting to find the best candidates. Build your social media presence up as a recruiter, and you’ll be able to scour the social web for the perfect candidates for your clients’ job openings (and make decent money in the process). As you might imagine, transcription is not a labor-intensive or skill-intensive job, and accordingly, pay is minimal. Still, typing out subtitles for movies, TV shows and other forms of video and audio can be a source of extra income. If you’re interested in building a more stable job from this opportunity, there’s one solid-paying area to try: the medical industry. Writing out dictated voice memos from physicians pays more and demands more, but is still approachable enough for almost anyone to learn. Thousands of people want to make new websites every day. The problem is that most of them don’t know how to do it, and they’ll gladly pay someone who can walk them through the steps. If you’re a web designer or developer, you can build custom projects, but even if you’re not, you can use platforms like WordPress, Wix or Squarespace to build sites on your customers’ behalf. Even though we’re now in an age of emails, texts and social media, many people still prefer phone calls when they need customer service. That means companies need people to answer those calls. While working in a call center may not be your idea of a great career, it’s much more pleasant when you’re using a headset in the privacy of your own home. This is an especially valuable option if you don’t have a wide skill set or you’re interested in having minimal responsibilities. Almost every business needs some degree of technical support, whether it’s for their employees or for their customers. And even if you don’t have a degree in computer science, you likely have the technical prowess necessary to fill that role. If you use a remote desktop app, you’ll be able to access other people’s devices without having to be nearby; and for most other issues, you’ll be able to talk or chat people through the process. 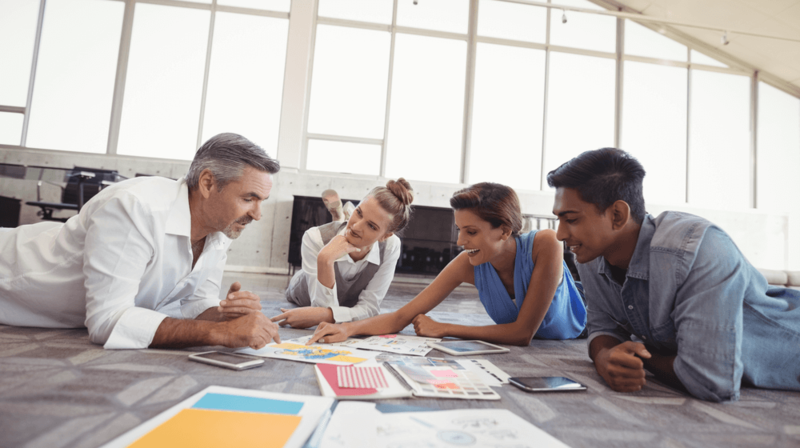 If you have a skill that requires some level of human contact, you can always open up your business in or around your home — that way, you can get the best of both worlds. For example, if you’re an auto mechanic, you could open a small car repair business by using your driveway and your garage (if it’s big enough). Or, if you’re an accountant, you could set up a home office to help people with their tax returns. Buying a franchise is only an option if you have free capital to invest, but it can be advantageous. When you first start out, you’ll need to be hands-on with the business and to make in-person visits from time to time. But eventually your operation should stabilize and provide you a stream of revenue that doesn’t require much work beyond occasional remote communication. All these options sound nice, but where can you actually find jobs like these? Ask and network. Your first option is to simply ask. Talk to your bosses and supervisors about the possibility of transitioning to a remote position. If that doesn’t work, go out and network; try to meet people offering opportunities you can take. Get new education and training. If you don’t currently have the skill set for a position of interest in the list above, you can go back to college or go into training to develop it. When you do, talk to your teachers about future opportunities — they likely have connections. Use job application sites. You can also go the more conventional route by scouting job application boards, like Monster or Craigslist. Be smart here; not every “work from home” opportunity is legitimate, so do some research before applying. Use ecommerce. You could build a business using an existing platform, such as Amazon, eBay or Etsy, to start selling your products, if you are selling physical products. Start from scratch. Finally, and most importantly, you can build everything yourself from scratch. Become an entrepreneur, launch a website and make your own rules. Remember that remote work isn’t a paradise. As exciting and perfect as working from home seems on the surface, it isn’t always a good thing. It can get lonely, motivation is a challenge, and you might just go stir crazy if you don’t take care of yourself. Develop yourself. No matter what you do, try to develop your skills and abilities along the way. It will come in handy in the future. Create a dedicated workspace. Don’t just sit on the couch with a laptop. Create a home office to earn the psychological benefits of “going to work.” Doing so also has tax write-off benefits. Hedge your bets. If you’re becoming an independent contractor, consider learning two new sets of skills or pursuing two types of jobs. It never hurts to hedge your bets. Set goals for applications (and be relentless). If you’re looking for work-from-home opportunities, set goals for yourself, and don’t give up until you reach them. Under-promise and over-deliver. If you want to keep your job, you’ll need to under-promise and over-deliver on everything. Competition is fierce and relationships are less personal, so your performance matters a great deal. By this point, you should have some solid “next steps” for building your work-from-home career. Whether you’re following a lifelong passion (be careful here) or merely seizing a notable opportunity, consider this your chance to earn a significant salary without leaving the comfort of your home (unless by choice). The world of working from home is far less intimidating and less fantastical than it seems. All you have to do is work for it. Whether you’re a team of two or 2,000, monday.com can help your business cultivate a transparent and collaborative environment. A successful business is sort of like a Big Mac in that it relies on a secret sauce to pull all the fixins together. In this case, that “secret sauce” comes in the form of effective, teamwide collaboration and communication. Teams can take all sorts of approaches to concocting the metaphorical sauce recipe that works best for them. As a manager, maybe you organize bi-weekly check-in meetings, send out teamwide progress emails every morning, organize daily scrums and communications training sessions, or abide by an open-door policy to encourage transparency. And to be sure, all of these approaches can improve collaboration so that you make deadlines and centralize workplace processes. But are they really unlocking your team’s true potential for productivity in the most intuitive, convenient sense? Say hello to monday.com, the team management tool that can help you do just that. The platform was launched in 2014 with the intention of fostering a culture where team members aren’t just productive, but feel like they’re part of something bigger than their job description. This sense of ownership and empowerment cultivates a productive environment where individuals stay engaged and on top of their work, all while using a product they love. monday.com’s format is unique in that everyone gets the same view, which increases transparency for employees, allows managers to easily distribute resources, and — perhaps most importantly — breaks down silos between different departments. With monday.com, you’re not just collaborating on initiatives, but fostering a culture where everyone feels invested in them. So go ahead — scrap those clunky Excel files, put the whiteboard in storage, and cancel tedious team meetings that no one actually finds useful. Whether you’re a team of two freelancers or a global institution of more than 2,000 individuals, tech-savvy or otherwise, you’ll be able to see the big picture on monday.com’s beautiful, flexible, and scalable dashboard. By signing up for monday.com, you’ll join a community of more than 35,000 paying teams, from startups to Fortune 500 companies, that includes the likes of NBC, WeWork, and Uber. Don’t misconstrue those big names for a hefty price tag, though, because you can start using monday.com today for free. Think monday.com is the right team management tool for you? Create your account to begin your free two-week trial. Small business startups go through a typical life cycle of three stages. I’ve observed this startup lifecycle time and again. In fact, I have gone through it myself. If we recognize the three stages, it’s the first step to getting through them successfully. Before I go further, let me say I’m not talking about the standard development stages of a high growth startup. Venture capitalists and entrepreneurship professors often talk about this. But they are thinking about the Facebooks, Googles and Ubers of the world. I’m referring to small business startups — the ones you and I and millions of the rest of us start. Our small businesses have a life cycle, too. And while the first and last stages are great, the middle stage is not always pretty. It helps to understand a small business life cycle by reflecting on a law of physics: the first law of motion. Sound familiar? This is describing inertia and momentum. Inertia is a major obstacle to success in a small business startup. It’s not helpful in any business. But it impacts startups and small businesses to a greater degree. Why? It’s because we have fewer resources available to combat it. After the initial rush of starting the business, we reach a point where we max out our resources. We’ve dug deep. We’ve squeezed out every last ounce of energy and resources. And suddenly we have no more to give. We have no more money, no more people, no more time to put into our businesses. Yes, we’ve used it all up. Simply put, we get stuck. After the initial excitement of getting the business off the ground, we can’t seem to make forward progress. We can’t seem to get big things moving again. Our businesses become like boulders chained to our ankles. We push and we pull. That boulder budges a few feet but it doesn’t roll along the way we want. If you are a hard charger or Type A personality, it gets frustrating. Oh, we’re busy — we’re slammed. We may be profitable and able to make payroll. That’s not the issue. Rather, everything starts to feel hard. Growth doesn’t come as easily as we want it to. We struggle to make forward progress in our business growth, profitability and success. We feel mired down, like wading through mud. That’s inertia we’re battling. In fact, inertia is a natural part of the startup life cycle. As I said at the beginning of this article, most of us as entrepreneurs go through these three stages in starting and operating a small business. Let’s walk through the three stages, so you know what to expect. And if you are in one of the stages currently, see if the experience sounds familiar. We start out with grand plans. We entrepreneurs have big ideas and we’re bursting with energy at first. After all, we’ve created something from nothing. We’ve done more than most people will ever do. We took a leap, started a business and got it off the ground. When I first started my business, I had so much energy I had difficulty channeling it. I loved my business so much! I was ready to take on the world. And if I was gone from my business, I couldn’t wait to get back. I probably spent too many hours on it. But it was a labor of love. Other entrepreneurs I’ve talked with describe a similar experience. We’re all filled with excitement when we first start a business. It’s almost like going through a manic episode (but in a positive way). We’re focused and we’re on fire. We’re all Davids ready to trounce Goliath! While the launch phase is exciting, at some point we fall into … the Trough of Reality. Interest in the new technology starts to wane. Some producers of the technology fail. It’s quite similar in a small business. But in the case of business owners, it’s not so much disillusionment. It’s that we come face to face with reality. The Trough of Reality is the point where we start to get customers. By this point we probably have employees or outsourced workers and services. All our energy gets caught up in day-to-day work. We are buried in minutiae. We have bills to pay; a payroll to meet. In short, we’re no longer just dreaming about a business. Now we have to operate it. Yikes!!! Owners end up with a classic case of working IN the business when they should be working ON it. My own business went through the Trough of Reality. There were several years where it seemed like we merely existed. Yes, we squeezed out a profit. But as I look back, those years were a struggle. I did a lot of freelance writing and consulting work on the side to subsidize growing my digital publishing company. Twelve hour days – heck 14 hour days — were nothing. We survived, of course. After 15 years we’re still here — and thriving. But back then I worried a lot. I wasn’t having fun. And it took all my energy. Some businesses wallow in the Trough of Reality for years. They manage to pay the bills, but growth is slow. But even if you don’t want growth — let’s say you are a self-employed freelancer content to stay at a steady pace of work — your quality of life suffers. You may personally feel beaten down by business pressures. Call it burnout, call it exhaustion, call it lack of motivation. You long to spend more time with family, or on hobbies or outside interests. Yet you just can’t work up much extra energy for your business or your life. As owners, our businesses start to feel like that boulder chained to our ankle. And the boulder is barely moving. It’s hard to get that boulder rolling along steadily again. The good news is, there comes a stage where things turn around. It is when you feel like everything “clicks.” Your business starts firing on all cylinders. Amazing things happen. Business picks up. Sales roll in faster and more consistently. Revenue seems to take less effort to generate. If you have a team, they are able to operate on their own. They start coming up with new ideas you never would have thought of. Your people make more of the decisions. They achieve things without you being involved in every detail. If you are a solo owner or freelancer, you develop systems that enable you to manage it all better. That word of mouth you developed through the first two stages of your business? It now starts to generate sales steadily. You learn how to say no and focus your time to get the highest psychological and financial rewards. At this stage of the small business life cycle, the owner can start taking longer vacations and holidays. Your days feel more rewarding — less of a drag. You have more energy, or so it seems. Your creativity peeks through once again. You experience renewed interest in a hobby or activity you used to love. In short, you’ve broken through inertia. The boulder (i.e., the business you’ve built) now starts moving along of its own momentum. How did you you do it? By sticking with it. By continuing to come to work everyday. You did it by making daily decisions. Perhaps you hired the right person here or there to help. You discovered new tools to drive efficiency. You put systems and processes in place in your business. Your offerings are now proven. And you’ve built up a customer base. Most of all, you’ve learned valuable lessons. You know what to do and what not to do — the lessons of experience. That makes things easier and more rewarding. The combined force of all these things helps break through inertia. And it’s a wonderful feeling! The Startup Lifecycle Makes You Stronger! If you are currently in the Trough of Reality, you are not alone. Others are at that stage with you. That’s important to recognize. It’s easier to get through a challenging time if you know it’s not unique to you. 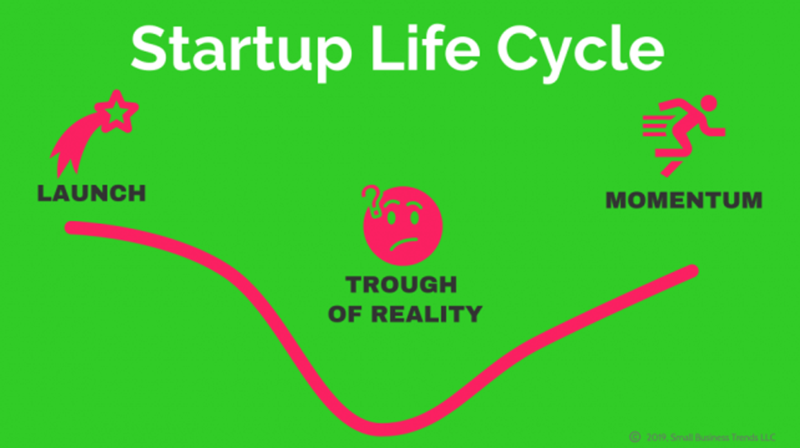 Millions of your peers got through that phase of the startup lifecycle. They survived and thrived. You too can get through it. And when you do, you and your small business will emerge all the stronger for it. If you’re running a business selling online courses, you can’t help but wear a myriad of hats. Depending on the phase you’re in with your business, you’d have to be the marketer, the product creator, community manager, web developer, and more. It can be overwhelming to say the least. That is why, if you want to streamline and optimize your online course business, you need a tried and tested online tool—one that can accommodate your growing needs as a business owner. Kajabi is one such tool. The platform is often touted as a one-stop-shop solution, an all-in-one tool for online business owners, or an all-encompassing software to run a digital business. For this reason, we decided to check it out to see if it lives up to the hype. The result? We were super impressed with what we saw. Therefore, if you’re thinking of starting an online course business (or you’re already running one), you need to check out what Kajabi has to offer. Kajabi is a knowledge commerce platform that empowers thousands of people to share and monetize their knowledge. Through Kajabi, you can create websites, manage your users, market your business, create your products, and more. Moreover, industry leaders such as Chalene Johnson, Brendon Burchard, and Billy Gene use this platform. Kajabi’s features can be grouped into four main categories: website creation, product creation, community management and marketing. Here’s how each one works. The platform allows you to create websites for your online course business. Moreover, you could create a website for almost any type of online business with this platform. Through the site, you can create landing pages, homepages, static pages, a blog section, and so on. Because Kajabi’s Premiere Framework theme allows you to customize your website into a myriad of layouts, you can create a beautiful site for your online course business in minutes. Additionally, Kajabi has several pre-made layout presets available that users can choose from. Once you have chosen a layout preset, you can start adding content and customizing the theme’s styles. This is a screenshot of Kajabi’s website creation page. Here’s how it looks when you edit your pages using Kajabi’s editor. There are numerous product types that you can create through Kajabi. Among the many products are mini-courses, evergreen courses, email marketing courses, and evergreen training. And because of Kajabi’s pre-made product templates, users can upload online course content without having to do much setup. You can set your price, create offers, encourage upsells, and even send automated emails to people who abandon your checkout pages. This is Kajabi’s blank template for creating products. Here’s Kajabi’s Mini Course template for creating products. Kajabi’s People tab houses a good bit of its community management features. For example, it can show you the purchases made by a specific user and when they joined your community. In addition, you can offer them discounts, send them passwords, and so on. You can run email marketing campaigns, publish blog posts, set up automations, and even create events through Kajabi. These are just some of the platform’s main marketing features. What’s more, Kajabi even allows you to collect payments from your customers. With these pipeline templates, you won’t have to set up your marketing funnels from scratch. You just need to pick a template, customize it, and add your content. Of course, if your funnel is a bit more complicated and none of the templates on the site fit what you’re looking for, you can also create your funnel from scratch. One of Kajabi’s key marketing features is the email sequence. From the Kajabi dashboard, all the way to the specific feature that you’re looking to use, you’ll notice immediately how easy it is to figure out how the platform works. For instance, you’ll see all the key functions categorized and bundled up in one place. Moreover, even the words they use to label and describe their features are easy to understand. Here’s a screenshot of Kajabi’s dashboard. As you can see from the screen captures, it’s very easy to understand how the tool works. Even someone who’s fairly new in the platform will have a good idea of what they’re supposed to do on the pages they’re on. When you think about how the knowledge commerce industry is often visited by people who want to make money out of their passion—but aren’t necessarily exposed to the workings of digital marketing—it’s crucial for them to have a platform that they can understand and use to monetize their passion. For as little as $149 per month, you can sign up for Kajabi’s basic package to start using the tool. This gives you access to a good bit of Kajabi’s most useful features to help you run a successful online course business. For example, you’ll immediately gain access to creating landing pages, pipelines, your website, marketing emails, and so on. However, if you’d like more advanced features, you can opt for Kajabi’s Growth Package at $199 per month, or the Pro Package at $399 per month. Simply click this link to learn more about Kajabi’s pricing packages and their features. Because of the multifaceted nature of running an online course business, you need to have a reliable online tool, a tool that can cater to your needs. Kajabi’s numerous features are geared toward helping you advance, organize, and streamline your online course business. Accordingly, you no longer need to sign up for various third-party apps. Kajabi has everything you need and then some. 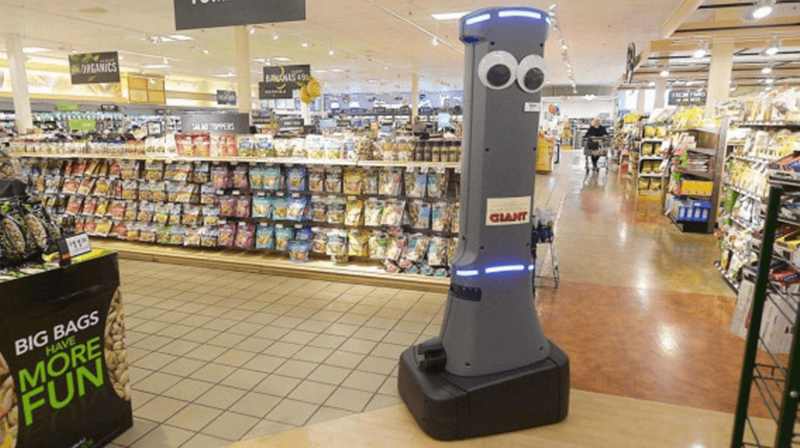 Giant Introduces Robot Greeter at Supermarkets, How Can Your Business Use Automation? Approximately 50 percent of current work activities are technically automatable by adapting currently demonstrated technologies, according to a January 2017 report by the McKinsey Global Institute. The report assessed the different jobs that could be created through 2030, and compared that to the jobs that could be lost from automation. If you’re new to the world of business blogging, the following tips can help start you down the right path. If you want your business’s blog to succeed, it’s imperative that you commit to a regular update schedule. However, when deciding on the right schedule, select one you’ll be able to stick to. Promising daily updates, for example, is simply unrealistic for most business owners. Update schedules vary from blog to blog. However, the most successful ones produce at least one update per week. This will give your audience a reason to regularly visit your website. Moreover, it will ensure that you don’t overextend yourself by promising to create more blog posts that you can actually produce. You want to create an engaging blog, after all. Should the test phase of your blog prove fruitful, committing to multiple updates per week might be something to consider. Updating your blog on a regular basis can also have the added benefit of boosting your site’s search ranking. When compiling search results, update consistency is among the factors prominent search engines take into account. Unsurprisingly, sites that go long periods between updates aren’t often among the first wave of results. As anyone well-versed in account-based marketing can attest, search engine ranking is often vitally important to small business websites. When composing blog posts related to your business or the consumer base it serves, take care to write with authority. You want your readers to be confident in the information you share. Consequently, it’s important that you write in a voice that conveys strength, intelligence, and an advanced understanding of the subject matter. This will help your audience feel comfortable accepting the facts you present. It might even turn them into paying customers. To prove that you’re worthy of such trust, you’ll need to fact-check yourself whenever you’re unsure about something. In other words, take preventative measures against inadvertently spreading misinformation. Enlisting the aid of guest bloggers can benefit you in two ways. For starters, handing off blog-writing duties to another person will provide you with an occasional break. This can allow you to recharge your creative circuits. Secondly, getting a guest blogger who’s a popular figure in your industry can prove helpful in bringing in new traffic. However, even if a guest contributor is just another member of your company, periodically entrusting someone else with your blog will provide a fresh perspective. This can help keep things from getting stale. If you want to give your search ranking a shot in the arm, consider experimenting with keyword integration in your blog posts. This practice entails including popular terms that correspond to your business or its parent industry. Make sure that you use this strategy both in your titles and in the body of your posts. For example, if you own a web design company based in Minneapolis, MN, including something along the lines of “best website designers in Minneapolis” can effectively boost your local search ranking. When integrating relevant keywords into what you hope will be your engaging blog posts, however, do so in moderation. Furthermore, take care to integrate them into the content in an organic fashion. Shamelessly shoehorning keywords into your posts detracts from their substance. Moreover, it is likely to turn off readers who realize what you’re doing. In addition to drawing the ire of your audience, keyword stuffing can earn your site negative attention from the web’s most prominent search engines. Sites that are deemed guilty of keyword stuffing can expect to see their search rankings plummet. Therefore, if maintaining a decent ranking is important to you, it doesn’t pay to take this gamble. A regularly updated and engaging blog can be a boon both to your business and its website. In addition to keeping your regular visitors informed, a well-written and engaging blog can also be an effective tool for drumming up new interest in your enterprise. 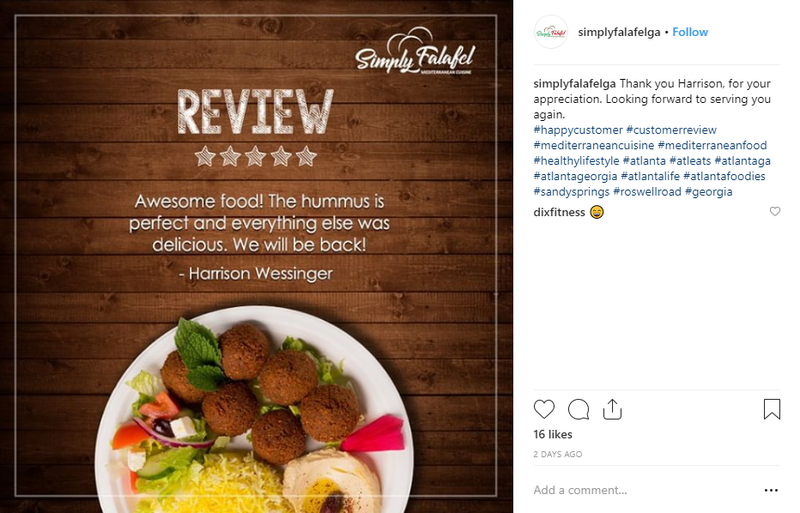 Despite the many advances made in the field of digital promotion in recent years, there’s simply no substitute for an engaging blog.